All Jewelry pictures and custom graphics on this site were digitized by John and Jim Christensen, Copyright © 1996 - 2006, All Rights Reserved. Photography Gallery showing the work of photographer Tim Van Noord. "The fine Jewelry Web site"
A wealth of information on custom Jewelry, Diamonds, and Gemology. Bernardine Art Jewelry Unique handcrafted art jewelry in silver, gold and gemstones. On line catalog, gemstone descriptions, birthstone list. Bijoux Extraordinaire, Ltd., Custom jewelry design, fine gemstones and estate jewelry. On-line Galleries and Library of jewelry related articles. Diamonds.net, The Internet Diamond Exchange (TM), Presented by Rapaport Information Services, Publishers of The Rapaport Diamond Report. DMS Mining, Minerals, Intarsia, and much much more! Ganoksin Online is a site dedicated to the interests of the Craftsman and the Artists; and those who appreciate Art and Quality Craftsmanship. Gem and Mineral Exploration Company specializes in field collected minerals and gemstones from the Western United States; Mine Site Research ; Location with GPS Based Exploration and Macintosh software for the rockhounding community. The Gemking, a good Internet Source for Colored Gemstones, Custom Cut Gemstones, Faceting Rough, Cabbing Rough, Carving Rough, Mineral Specimens and more. Established in 1931 as the nonprofit educational resource for the gem and jewelry industry. Jan McClellan HEIRLOOM JEWELRY ,unique, handcrafted jewelry made to be cherished for many years, and guaranteed for life. Jan's Jewels, Vintage & Antique Jewelry, A wonderful collection of costume pieces. Unusual, Unique, and the price is nice! JewelryFolder.com - Links to jewelry directory resources and information websites. See Jane Draw , The Jewellery Design Resource Site. Very useful info here. Micky Roof Designer Goldsmith, an upscale, design oriented jewelry shop, gallery, and working studio, featuring the striking "Micky Roof Collection"...plus works by the finest contemporary jewelry artists, unique gems, in-house repairs, and custom design and fabrication. Tyler-Adam Corp. Exquisite Jewelry Web site, Good information, especially look at the TIDBITS. Unique Attendant Gifts - Unique groomsmen gifts and engraved gifts for birthdays, weddings, anniversaries and more. Groomsmen gifts include corporate gifts and wonderful golf gifts. United Artworks Web Site, featuring artwork by Andrew Werby and associates, a Techniques section, with information on various art materials and processes, and a Resources section with on line sources of information useful to practicing artists. Also starting a referral network of reciprocal links, so those who want items custom-made could find appropriate artists. when choosing a watch. By providing information on every watch from all luxury watch brands. Watch Repairs - Professional watch repairs, over 28 years experience. Antiquing On Line. Specializing in vintage costume, Victorian and estate jewelry and accessories. Tradehop.com is an excellent and informative site. Many links, and great Gemological information. Order the CD by Julie Christensen. You won't be disappointed. Some great players on this disk, all original music by Julie. 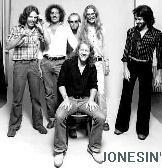 Link to the Jonesin' band's page. I was in this group from 1974-82, Nostalgia, Photos, Memorabilia. The Little Feat Web, The official Little Feat web site. Contact Lenses Network - Contact lenses network provides free information on contact lenses and price comparison shopping for all contact lenses from online contact lens vendors.